Last Friday we worked with, Friends of Puerto Rico a non-partisan, non-profit organization that invests in the orange economy by supporting the arts, education, and entrepreneurship to catalyze economic development and stimulate a sustainable economic development. We landed in Aguadilla, a small village on the west coast of the island in the mountains. No relief has been brought over. 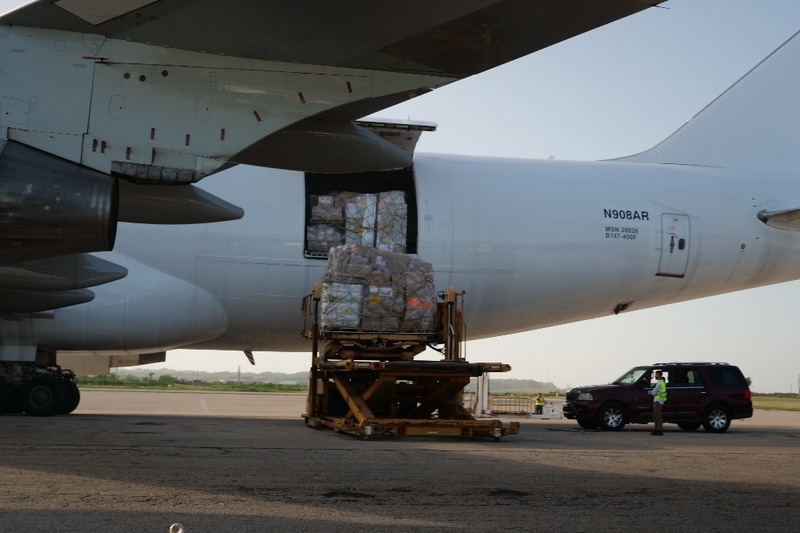 We brought over 250,000 pounds of supplies over the course of a couple trips, on a 747. We received Cargo from New Jersey, Houston, Maryland, Orlando, Jessup, GA. Included in the supplies being brought over, 5 generators. 1 going to a hospital, 2 to food banks feeding many municipalities, and the rest to pump water into the mountains. This was the biggest concentration of industrial generators together with medicine and food. While we were there, we visited Regazo de Paz an orpahage with about 15 children under the age of 5. Regazo de Paz's vision is to provide battered, abused, abandoned children and/or victims of domestic violence; with a home where their basic needs are met, offering them in the proper environment for the healthy development of their character. Regazo de Paz has recieved no aid or support and need tremendous help for the sake of the children. Basic needs like water to drink, food, medical are depleted. We currently have 3 million more pounds of supplies needing to go to the west coast of Puerto Rico and the surrounding municipalities. Our goal is to raise enough money to charter the jet needed for this relief charter. Please help us reach our goal and help these children and people in need, anything helps.